Color affects our mood, our purchasing decisions, our appetite and so much more. That's why it's important to understand how the color choices we make when decorating affect us. Green is one of the most versatile colors for decorating and many more people are creating indoor gardens, so let's dig into why and how they're making this investment in time and money. Have you noticed how everything is becoming green? From the food we buy to products including how they're packaged. Many brands now include their green initiatives as part of their advertising. Do you understand how the new emphasis on green is affecting your life? Green is much more than a color, a mixture of blue and yellow. Green symbolizes a green planet and protecting our environment. The green movement is changing the way we think, the decisions we make, how our homes are built and furnished. “Green” is universally recognized as representing nature, ecology and the environment. The color has always signified growth, fertility and abundance. Occasionally the color green also reflects negative things like green with envy. While it's been common to have a few house plants for years, the focus on adding plants to your home's interior is taking on new meaning. The color green is restful to the eye, so green plants add color and texture to a green room. Green plants help rid the air of pollutants and toxins, helping to counteract the gases given off by paint, furniture, cleaning products and more. Growing plants in your home can also be a source of food, and not just spices. 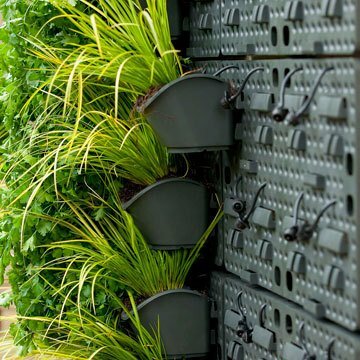 Indoor Gardens or A Mobile Edible Wall? 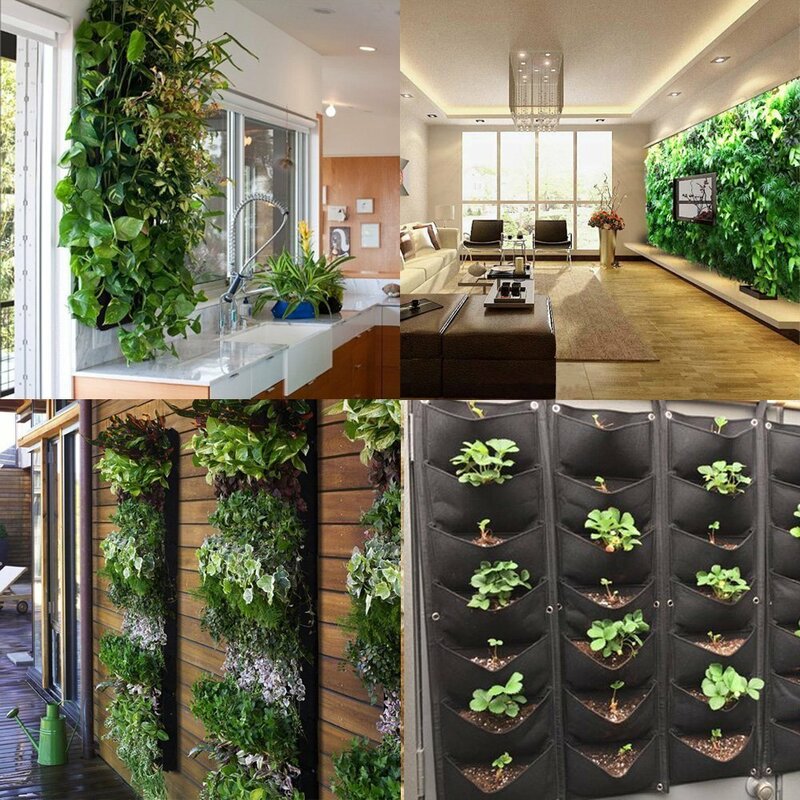 When I first discovered green living walls, I was writing a series of articles about things related to the “green movement” and the home. That's how I learned about living walls (and roofs) from Green Living Technologies. Imagine my surprise a few months later when I walked by a green living wall at Build Boston. It wasn't just an idea or a photograph. The green wall was real. After standing there for a few minutes, I went up and touched it. Then I had to walk around to make sure there was nothing special on the other side. 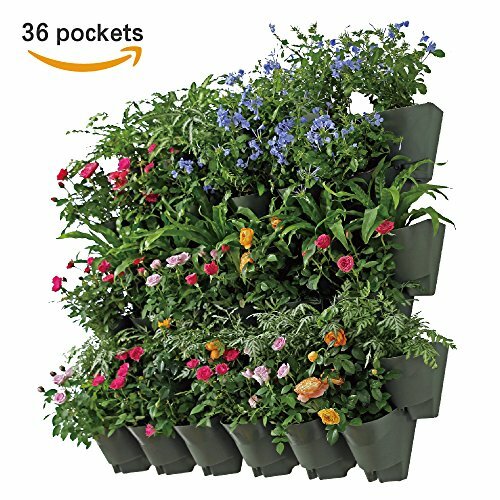 Wait until you meet an 8 foot vertical garden indoors! Green Living Technologies is a leader in enabling “zero miles” from farm to table a reality. Their edible walls are both beautiful and calming. More and more, these creative new solutions to food production are allowing anyone to produce fresh vegetables and fruits we can eat. Office buildings that often have enormous glass walls letting in lots of sunlight. Vacant lots and abandoned parking lots can be used to grow vegetables until they're developed. Roof tops and parking lots can use edible wall technology to transform the visual landscape and provide a source of raw food. Backyards can be used in milder weather and with mobile edible walls, you can wheel the garden indoors for year round gardening. If you've spent any time caring for an outdoor garden, you know they take time. Like all living things, they need sunlight, water and so much more. Don't fool yourself into thinking that indoor gardens are easier. Here's what Apartment Therapy learned about indoor vertical gardens, from the Westin Hotel. They shared this list of daily/weekly tasks to maintain their decorative (not growing vegetables) garden. Inspect plants for overall health and moisture levels. Inspect plants for pests or disease, trimming them and replacing any failed plants. 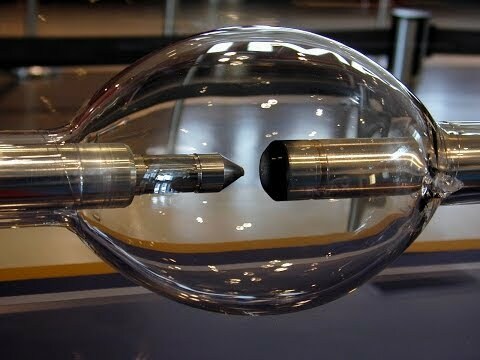 Inspect the water level in the holding tank and refill when necessary. Add fertilizer to the water or irrigation system as needed. Inspect the water pumps, timers and clean the filters. If you're an avid gardener, you've already decided how to get started creating your indoor garden. If you're not a gardener (that's me), then you'll want to review these tips to make this project as successful as possible. Research the difference between traditional dirt gardens and hydroponic gardening that doesn't use dirt. Your first decision is picking the best indoor gardens for you and your home. Start small to see if you're comfortable with the time commitment and the results for your time and money. Don't purchase an automated watering system to start. Wait until you know you like taking care of indoor gardens. Pick plants that are easy to grow, ones with shallow roots that don't require a lot of water. Examples include moss, flowering vine-plants, lettuce and strawberries. Set your indoor garden up in a place that has good sunlight or purchase grow lights. You don't want to have to move your plants every day in order for them to get enough sunlight. Try to pick an area that has water tolerant flooring like tile or linoleum. Otherwise you'll want to put down a protective covering for the occasional water that finds its way to the floor. Try to place your new garden someplace that you walk by every day as a reminder to take care of your new best friends. Our lives are too hectic, so until you build new gardening habits into your daily schedule, you might miss a critical problem. But just in case you are short on time, it might make sense to buy a soil monitoring tool to help you keep plants properly watered. Do your homework on the best way to get started. Do you want to start with seeds, seedlings or you might be happier the first time, starting with mature plants that you simply replant. Here are some resources we found that will help you get started with indoor gardens, whether you're planning decorative plantings of want to grow food you can eat. Indoor Gardening 101 – provides a comprehensive overview on space, lighting, temperature, humidity, soil (growing medium) or hydroponics (water), plants and more. Indoor Garden Tips – and I was intrigued by their recommendation to water with ice cubes … hmm? Best & Most Essential Indoor Gardening Tips You Should Know – by Amelia Robinson, who covers all the basics in less detail than Indoor Gardening 101. Green Elephants & Trimming the Right Way!